Question: Can we bring our dog to the engagement session? Answer: Always YES! I love whatever can make your session unique and obviously a dog is pretty unique. One little tip though is if you would like to bring your four legged friend, try and have someone else that can come along and wrangle them when they’re not in the photo! Kim and Adam also had their first date at this preserve which makes it even more special. We had trouble remembering and finding the exact tree, but you get the picture :) We spent an early afternoon photographing the three of them (well actually four!). 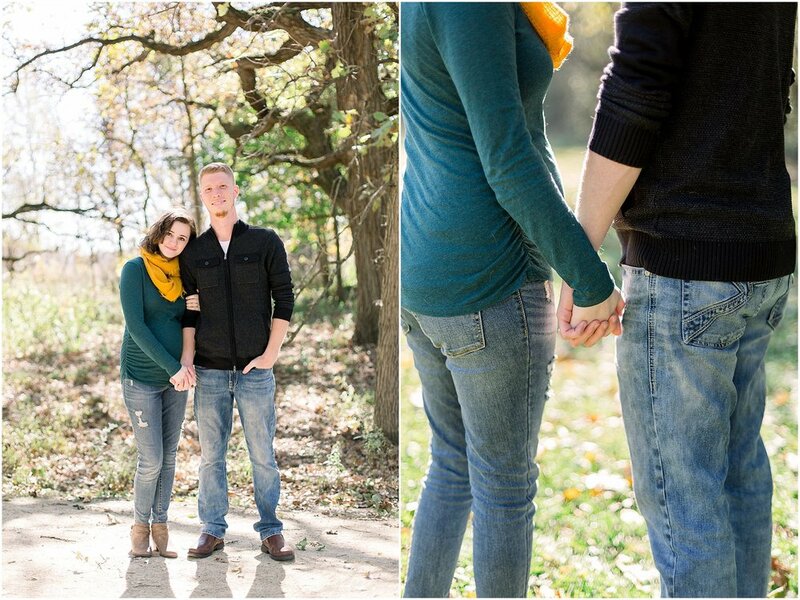 They’re expecting in a couple of months and I can’t wait to photograph their newest addition along with their wedding this summer at the Byron Colby Barn.